Leading UK musical instrument distributor Sound Technology Ltd is proud to present the latest of its "Sound Technology Sessions” video series, designed to showcase incredible live music from amazing musicians who use our instruments. 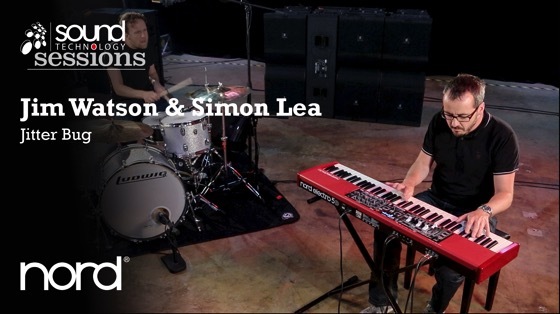 In this latest release, sensational British keyboardist Jim Watson performs an improvised piece using the new Nord Electro 5D 73. Jim is accompanied by long-time friend and musical collaborator Simon Lea on drums. With thanks to AKG for microphones used in this recording: D112 MkII, D40, C414 XLII matched pair.